Mother’s Day is traditionally an opportunity to spend time with your family, feel appreciated and of course put your feet up. But what about if you’re a single mum? Perhaps this is your first Mother’s Day without a partner around to make plans on your behalf and you’re not sure how to approach the day. 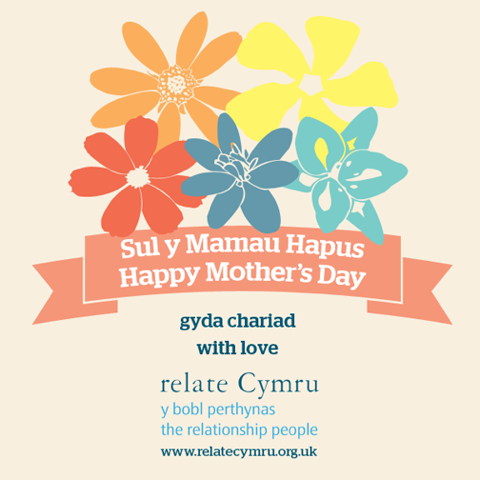 With this in mind, relationship support charity, Relate Cymru has compiled tips on how to enjoy Mother’s Day as a single mum. Remember you deserve this. Every mum deserves a reward for all your hard work and this couldn’t be any truer for single mums. Talk to your ex: If you can, talk to your ex-partner about plans for Mother’s Day. If you want to change arrangements so that you have the children when you wouldn’t usually, make sure you talk openly to your ex and give plenty of notice. Tell the kids what you want. It may feel strange asking for presents and planning your own activities but young children are likely to need a helping hand. Think about the message. Mother’s Day educates your children about the hard work all mums do and teaches them about the importance of saying thank you. Get crafty. You may want to help your children to make a Mother’s Day card, a gift or pick some flowers for you. Remember it’s just one day. This is important, especially if you’ve recently separated. Your children are likely to feel a bit unsure about how to approach Mother’s Day, so try not to put too much pressure on it. Plan something for yourself: Regardless of whether you have the kids or not, plan a little treat for yourself on or around Mother’s Day – whether it’s a spa day with your own mum, a coffee with a friend or a warm, relaxing bath. Parents who are dealing with separation can visit www.relate.org.uk for guidance on managing the practical and emotional realities of separation. Relate Cymru’s non-judgmental services support individuals, couples, families, children, young people and friends to strengthen their relationships. Contact 0300 0032340 to find out more or to book an appointment.